Equine Assisted Therapy is an innovative, evidence-based therapy practice which builds on the human-horse connection to help people learn more about themselves and to use that learning to change their lives. Equine Assisted Therapy involves no riding or horsemanship, making it both safe and effective. Clients work directly with horses face-to-face on the same footing. This ground level work enables clients to better perceive the horses' actions and reactions as they work to process and solve their life challenges. Under the trained eye of the Treatment Team, consisting of a Mental Health Professional and a Certified Equine Specialist, the horses offer clients honest feedback and usable information that helps them determine, for themselves what is best to build and sustain effective change in their own lives. Through their intuitive and sensitive nature, horses guide clients to find the resolutions needed for them to live healthier, happier lives. Monique Gerber is a Certified Equine Assisted Learning Facilitator and the owner and founder of Leading Edge Equine Academy. Monique grew up with horses and has a great appreciation for the healing and wisdom that horses provide. She has spent a lifetime studying herd dynamics and survival instincts which influence greatly the horse human connection. Along the way, Monique attained her certification as a Hypnotherapist, Counselling Skills as well as a Personal Trainer. All these experiences have aided in her ability to help and coach others to find successes in their own lives. Monique provides the Equine Specialist/facilitator to the therapeutic team and provides the crucial feedback from the horse to help the client reach their full potential. Rebecca Brown is a Registered Social Worker with a Masters Degree and a career spanning 30 years within the medical, child welfare and domestic violence fields. The majority of her career was in the child protection system as a Supervisor and Coordinator of the Critical Incident Debriefing Team. She was a Provincial Trainer for the Ont. Association of Children’s Aid Societies and taught the curriculum on Wellness and Self-Care. Her experience in resilience building and Lifestyle Medicine is incorporated into her private practice of Health & Wellness, Trauma and Grief Counselling at Our Healing House. Rebecca continues her work in Crisis Management Response, and provides onsite psychological first aid following workplace traumas. Rebecca is an Adjunct Assistant Professor in the Department of Family Medicine, Western University and Associate with the Tend Academy delivering workshops and conferences throughout North America on the topics of Vicarious Trauma, Compassion Fatigue and Resilience to professionals in the trauma and health fields. 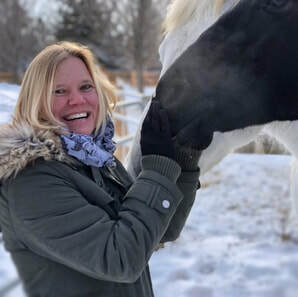 Rebecca’s most recent passion is “Healing Through Horses” and practices Equine Assisted Therapy for trauma survivors and a variety of mental health conditions.